While online business, creating a big enough ripple in the steady waves of internet users, people is getting aware of the terms online marketing, online advertisement, PPC(Pay-per-click), ROAS(Return on advertisement spending), etc. When a business plan is the base and a website is the structure, a proper marketing policy is the glue to make the business running and earn a good revenue, and advertisement for any business automatically tag along with the entire package. It’s simple. More the exposure of the business, more the traffic gain and greater the possibility of conversion rate, thus a higher profit. Let’s skirt through the surface of whole PPC 101 theory and have a quick look to understand what PPC is. In simple words PPC is an internet marketing model, where the advertisers pay for clicking on their Ads to the publishers. It is a way to buy the traffic instead of bothering to earn it organically. Advertisers bid for keywords as well as space. One must choose a relevant and high quality keywords to catch the targeted market. The keywords should match with the search done by the users for the products or services you are offering, and with the contents of the websites they will visit through the Ads. It’s a potent manner to exhibit your business to the promising clients at the same time they are looking for what you are selling. 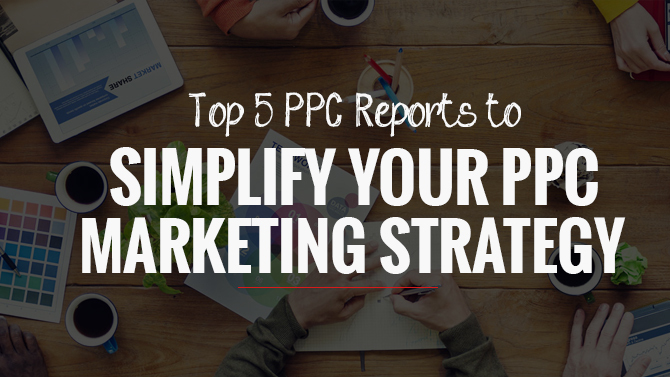 Check out some reports to make PPC marketing strategy more simplified. Keywords are what that can control when the Ads will appear on publisher’s page. So keeping an eye on what is the performance of the keywords you are bidding for will give you a clear prospective in your business. 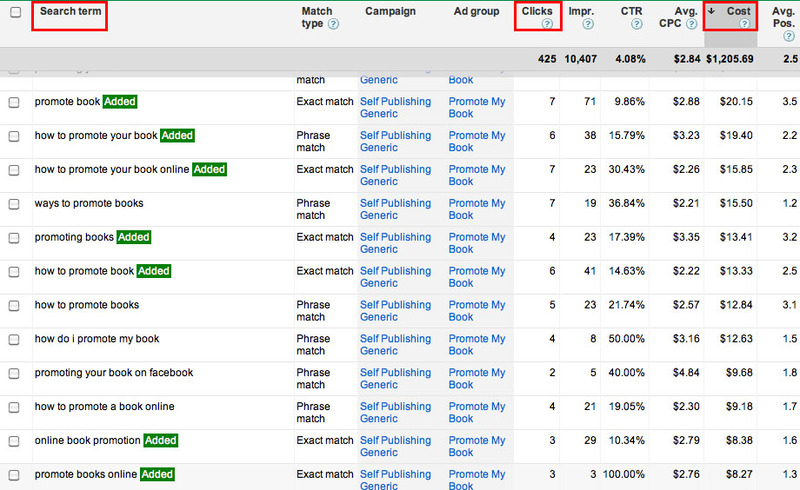 Sign into your account and hit on the keywords tab and a statistic will appear presenting each row for one keyword. The data can be sorted through by column by clicking on the column header. In this report the columns that will be helpful to deduce the keywords performance are mentioned below. Converted click represents which keyword gives how much conversion. So if the data are sorted by this column, then the first row will show the most conversion keyword and so on. CTR or click-through rate represents a percentage value of the columns clicks and impression, that is,how much clicks you get out of how frequent the visitors are. Simply CTR = (Clicks/Impression) %. It is determined that higher CTR value means the corresponding keyword is highly relevant and users find your Ad more favorable and that’s why they click on it. And then there is average CPC or cost per click column. From the name of it, this is clear that the column represents how much you have to pay for each click. Conversion column shows you which keyword is more successful in converting clicks into leads on your website. So by judging the efficiency of the keywords you can decrease or increase the bid rate to get the best outcome within your budget. Generally keywords which are generating CTR value lower than 1% can be removed or refined and/or a more targeted keyword could be added. Monitoring how your Ads are doing is another way of ensuring the performance of your campaign. In case you are using Adwords, log in to your account and click on the campaign tab followed by the Ads tab to get a look on the scenario at that time. The columns, which need to be watched are listed below. Under review, Eligible, Not yet serving (video ads) when the review is in progress. Approved, Approved (non-family/adult/limited/video ads) when the review is completed and the ad can run. Disapproved, Site suspended, Not serving (video ads), With issues (video ads) when the ad or the advertiser’s site doesn’t follow the publisher’s ad policy and so can’t run. Focus on why people will choose you. Make certain your ad matches with your landing page. 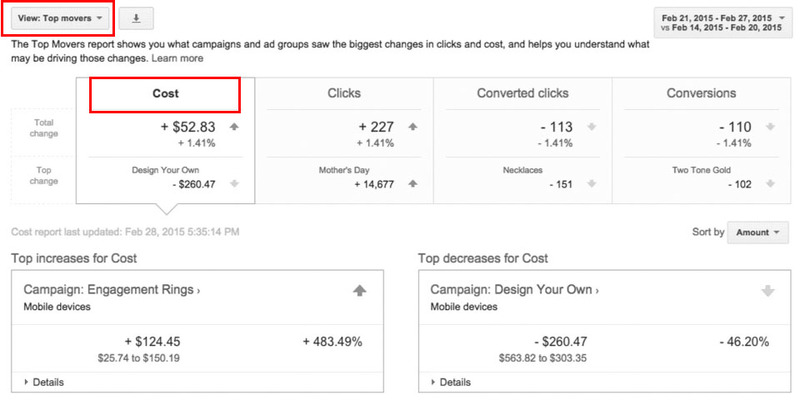 The average CPC result also requires to be noted which is defined by (Cost of all clicks/ No. of clicks). To check on this report you need to move to the dimension tab after log into your account interface and clicking on the campaign tab. This report actually shows any changes in conversions, clicks, costs, and converted clicks taken place among two adjacent time periods. Suppose you have chosen a 7 day view report and given Jan 14 as comparison ending date, then two respective time spans will be Jan 1-7 and Jan 8-14, particularly in this order. Analyzing the data you can easily point out which campaign or ad group is more profitable, which one causes any cost-effective changes, why your account metrics take a leap, etc.. If the questionable account got less than 100 clicks in the past 7 days, then this report will not be shown. Each day’s report will be produced in the next day at 6pm pacific time. 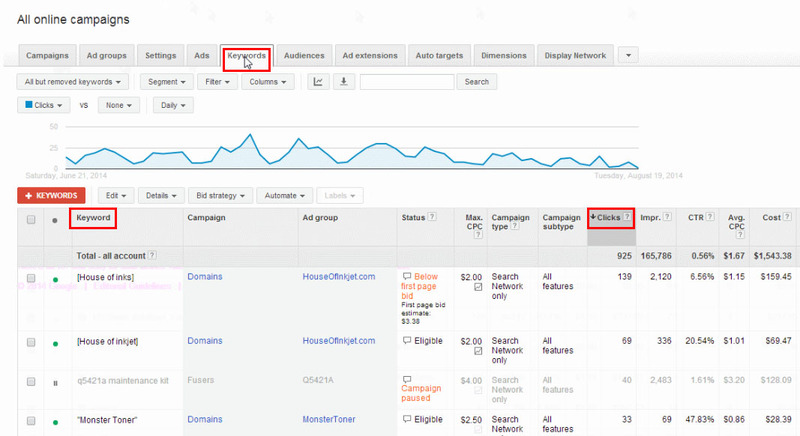 Find this report using the steps – Campaign tab > Keywords tab >Details > All. Find Columns drop-down and go for ’ Modify columns’. Click on Attributes in ‘Select metrics’ section. Choose Add next to ‘keyword’. ‘Match Type’ column for this report depicts how closely a keyword matches the phrases or the search terms used by the customers and by doing so triggered the Ad. By verifying the status of this column,you can take necessary action for the keywords. The most easy way to get an overall view of your advertisement campaign is campaign performance report under the campaign tab. For a new advertiser, it’s a basic and a spartan way to monitor performance through clicks, impressions and CTR columns. 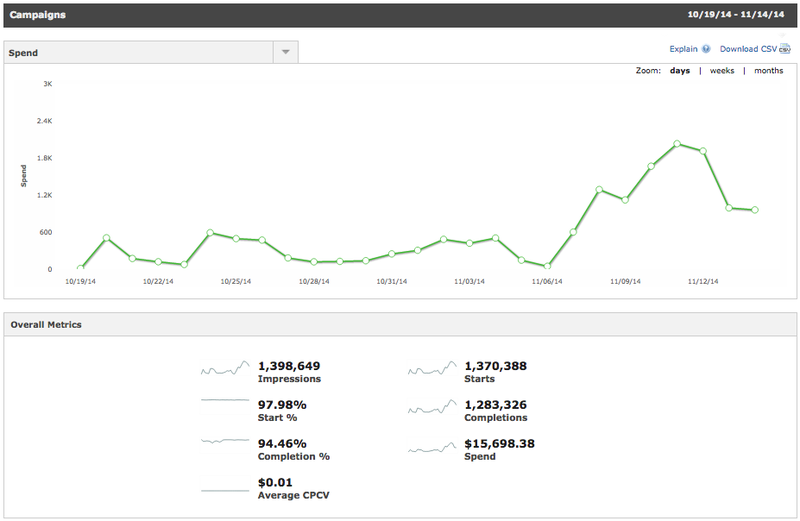 It’s customize view helps to determine if you are achieving your targeted expectation through your campaign or not. These five reports are not the end of it, though its highly useful to achieve your goal and a reasonable enough ROI from your business. With a proper insight on PPC marketing and advertisement campaign you can dig out the most from your investment.